“One” paints an uncompromising portrait of the world's end. Though bearing echoes of preceding post-apocalyptic works, it blazes an original trail by instilling a numbing atmosphere of stark, stripped down survival. Man has fallen down the evolutionary ladder, and it's doubtful as to whether he'll rise, ever again. In a flash, ethereal fire wipes away everything. Richard Jane is an undersea diver employed by an oil company. He and his team are submerged at the time of the 'Event', protected by miles of sea overhead. It comes with a crackling hiss of the intercom, then an underwater downpour of dead, bleeding fish – everywhere. Jane and his team are the only ones to initially survive, their entire company on the surface killed. Of his comrades, Jane alone makes it to shore. From there begins an agonizing trek to London. What's happened? Who's at fault? Was the cause natural, mechanical...or war? Eventually, Jane encounters others, even welcomes a nurse and a young boy as his regular companions, but deep inside one desire smolders into an obsession: get to London, find his only son Stanley, the joy of his life. Has Stanley survived the world's end, is he numbered among the dead...or has something much, much worse happened to him? Years pass. Survivors band together in pockets all over London. Something like life continues, but it is hard, emaciated, caustic. Still nothing is known about the 'Event', except this: after it, something came on the winds, from the sky and beyond...and infested the dead. They now walk, blindly, senseless, devouring human men and dragging off the women for awful, unknown designs. A desperate plan has been hatched to raft across the London Channel, yet Jane still hunts the dark, wet corners of a crumbling London, despondently searching for a son he no longer believes has survived... but still can't let go of, regardless. 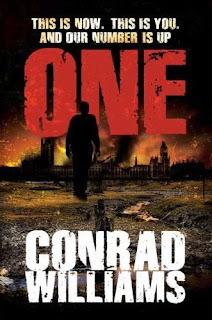 Though post-apocalyptic tales have been “done before”, Conrad avoids all the obvious cliches. Even the requisite “zombies” read differently, though they do bear a resemblance to those in “The Rising” and “Dead City” because wildlife is infected, also. However, Conrad proves an oft-argued point: a horror staple doesn't have to be dried up or over-told. The real center of this novel is Jane's sense of loss, his quest to find Stanley. In many ways, everything else serves as compelling backdrop matter. Also, William's vision of a post-apocalyptic world is very realistic. There's no grand battle for humanity's future (“Terminator: Salvation”). There's no Mother Abigail drawing together good souls against a didactic evil like Randall Flagg (“The Stand”). 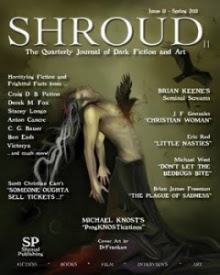 There aren't even diabolical zombies readers can root against, such as Brian Keene's wonderful creations, led by the maniacal Ob (“The Rising”). There's no kitschy explanation of the “Event”. Just a horrible end, scrabbling survivors, new kinds of predators, and slim hope for all. Visit www.conradwilliams.net. Buy it today.